Hello again my friends, today we will explore a few more tips on how to find the things you love to do. Below are a few questions that I would like you to ask yourself. Yes it may be strange to ask yourself, but it's more like asking the question to the universe, you’re higher self or whatever you want it to be. • What are you passionate about? • What is your biggest dream? • Who do you want to become? • What do you want to give? I suggested 3 simple tips in the first part and today we will explore a few more. Please take the time and do the action steps, otherwise you can be sure that nothing will change. Small action steps repeatedly taken are required in order to create your dream life and please do remember: Everything we do that's new will feel uncomfortable. 7 years ago I did not have any idea what my passions are and if somebody asked me about my goals, it made me feel uncomfortable and I was avoiding the answer. It made me feel bad that I did not have any; actually I was afraid of goals, I was afraid of them because I knew that it would require commitment and commitment scared me, it was associated with: that's too hard. Life felt stuck and I thought there must be something wrong with me, if I cannot answer these questions. The good thing is: today I am crystal clear about my passions and the goals I want to achieve and all I did was practice all the little simple exercises and practices, I am giving you right here. The answers just appeared like magic out of nowhere, but I had to let it go when they come and how they come. ◾Get some inspiring books, for example the "Artist Way"
Always, always, always keep the meditation going, even if it's only a few minutes. It will help you to get beyond your conscious mind, into the subconscious mind. You must make it part of your daily routine like food, drink or exercise, yes it's that important. Just let it happen whatever idea comes up: explore it. The mind does not want to do new things and will come up with all kinds of reasons why not to do it. It's not the mind's job to make us happy; it just wants to keep us safe. This sounds self-defeating and yes it is. But the good news is that with some awareness and practice we can learn to move beyond the fear and do it anyway. This is it for today, please leave a comment and if you have tips that I did not mention, please share it. This is all such amazing information! I am putting it all to the test right now! As I stand in the crossroads of my life, knowing that changes are essential for my happiness, yet feeling the confusion that comes up and clouds my vision and makes it"feel" impossible to know what to do….Well thank goodness there are tools!!! 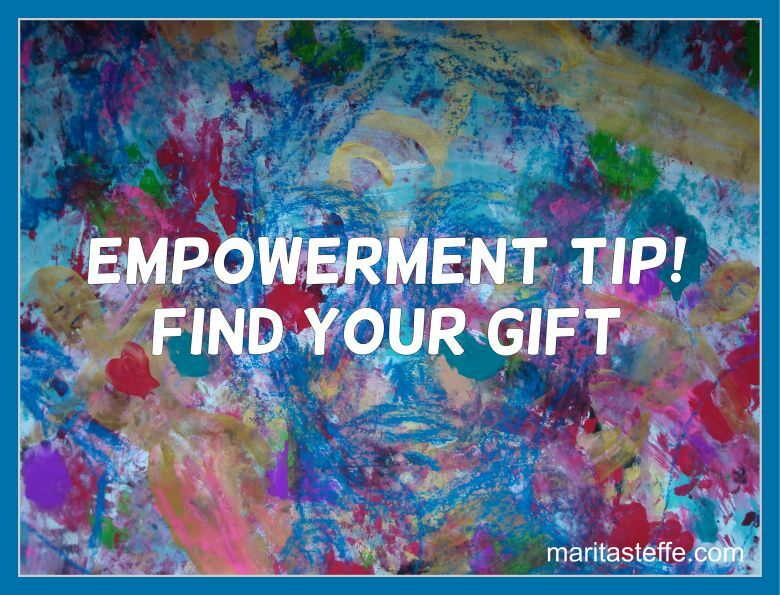 And Marita has made them accessable – for anyone wanting a fullfilling life but maybe sitting in a life that's comfortable- not nesessarily "happy" but easier, maybe lack luster, well there is a way to reconnect to your passions! I am in the process of this now in my life, using these tools, so far so good.